The Mars Climate Orbiter was deployed by NASA as part of a mission to study weather and climate on Mars. It was supposed to enter orbit at an altitude of 140.5–150 km (460,000-500,000 ft) above Mars, but due to an error, the spacecraft dipped as low as 57 km (190,000 ft) and was destroyed. The failure and loss of the Mars Climate Orbiter is examined in this case study, which explores the political, ethical, and economic issues as well as the scientific and technical aspects of the mishap. 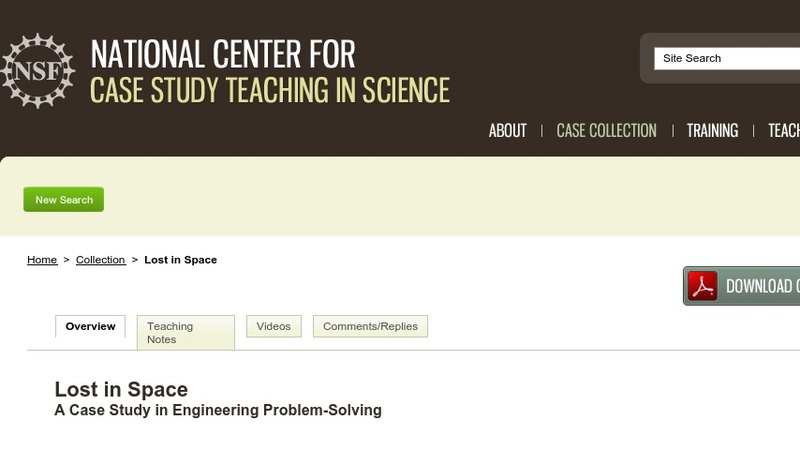 The case study is designed for use in a freshman-level Introduction to Engineering course.